The USS Lake Champlain (CG 57) is scheduled to depart San Diego for a regularly scheduled deployment to the Western Pacific, Jan. 4. 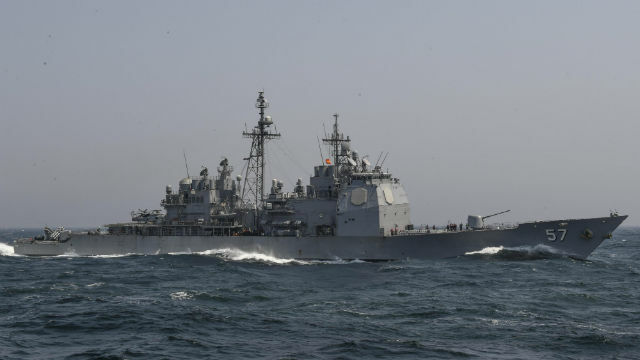 The guided-missile cruiser will deploy as part of the Carl Vinson Strike Group. It completed a six-month deployment to the Indo-Pacific region last year. Lake Champlain is led by Capt. Jen Ellinger who assumed command in September. Commissioned on Aug. 12, 1988, the Ticonderoga-class guided-missile cruiser is operated by more than 350 Sailors and carries Tomahawk missiles, standard SM-2 surface to air missiles, two 5-inch dual purpose guns, and two SH-60 Seahawk helicopters.